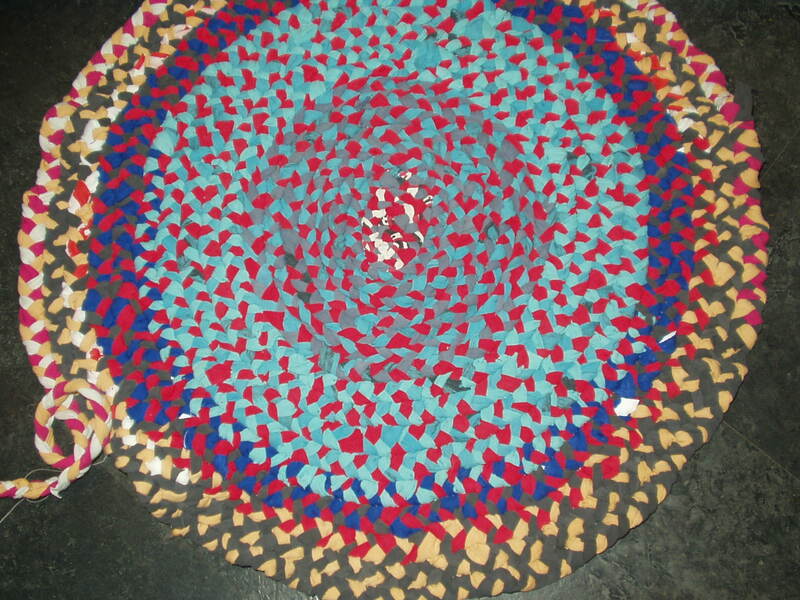 This rug is made from old t-shirts but any fabric can be used. When you have a nice sized ball start to sew together. Begin by making a small coil, flat on the table, and oversew or ladder stitch together. 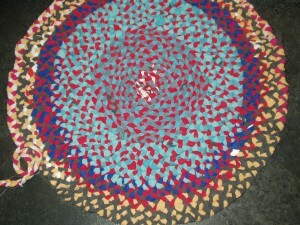 Continue coiling and sewing until the rug is as large as you want it. 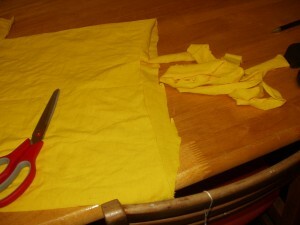 Cut up and plait t-shirts or fabric as you acquire it, adding to your ball and re-rolling.